O God, who have made the blood of Martyrs the seed of Christians, mercifully grant that the field which is your Church, watered by the blood shed by Saint Charles Lwanga and his companions, may be fertile and always yield you an abundant harvest. Through our Lord Jesus Christ, your Son, who lives and reigns with you in the unity of the Holy Spirit, one God, for ever and ever. 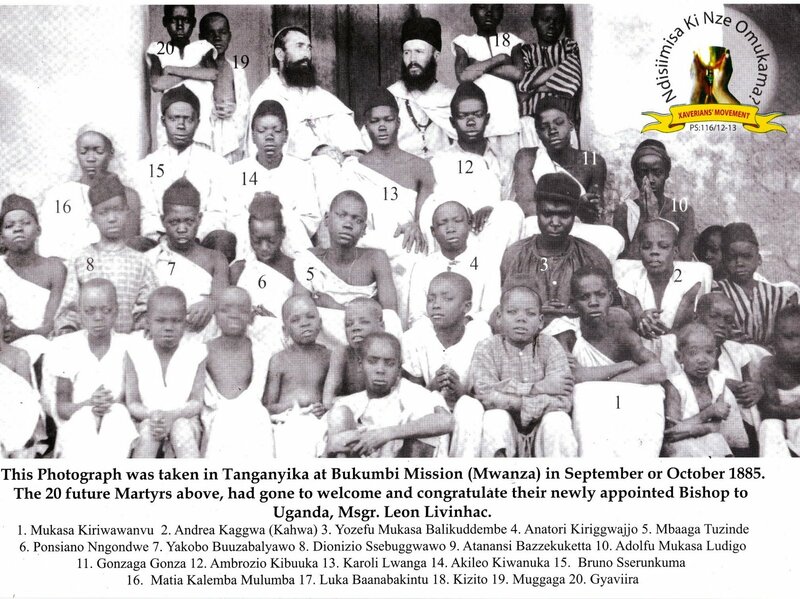 Today, together with the whole Church, we honor twenty-two Ugandan martyrs. 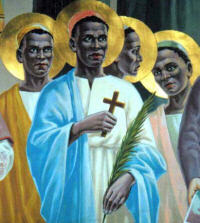 They are the first martyrs of Sub-Saharan Africa and true witnesses of the Christian faith. Charles Lwanga, a catechist and a young leader, was martyred in 1886 with a group of Catholic and Anglican royal pages, some of whom were not yet baptized. King Mwanga, who despised the Christian religion, gave orders that all the Christian pages in his service be laid upon a mat, bound, placed onto a pyre and burnt. This took place at Namugongo, just outside Kampala. Historically today is the feast of St. Clotilde. With her husband King Clovis (c. 466-511) she founded the Merovingian dynasty, which ruled the Franks for over 200 years. They were married in 492 or 493, and she converted him to Christianity in 496. When Clovis died, Clotilde retired to Tours. Her sons' quarrels caused her great sorrow. She died at the tomb of St. Martin of Tours and was buried in Sainte-Genevieve in Paris, a church that she and Clovis founded. Charles was one of twenty-two Ugandan martyrs who converted from paganism. He was baptized November 1885, a year before his death, and became a moral leader. He was the chief of the royal pages and was considered the strongest athlete of the court. He was also known as "the most handsome man of the Kingdom of the Uganda." He instructed his friends in the Catholic Faith and he personally baptized boy pages. He inspired and encouraged his companions to remain chaste and faithful. He protected his companions, ages 13-30, from the immoral acts and homosexual demands of the Babandan ruler, Mwanga. When Charles was sentenced to death, he seemed very peaceful, one might even say, cheerful. He was to be executed by being burned to death. While the pyre was being prepared, he asked to be untied so that he could arrange the sticks. He then lay down upon them. When the executioner said that Charles would be burned slowly to death, Charles replied by saying that he was very glad to be dying for the True Faith. He made no cry of pain but just twisted and moaned, "Kotanda! (O my God!)." He was burned to death by Mwanga's order on June 3, 1886. Pope Paul VI canonized Charles Lwanga and his companions on June 22,1964. We celebrate his memorial on June 3rd on the Roman Calendar. Charles is the Patron of the African Youth of Catholic Action. Patron: African Catholic Youth Action; Catholic youth; converts; torture victims. Learn more about Uganda, Kenya and Nigeria. See what the Catholic Relief Services are doing and how you might help. Visit the Missionary Childhood Association to find out more about mission work in Africa and to find activities and prayer services. These Christian martyrs refused to give in to the homosexual demands of the king. They are saints who respected their bodies and loved the commandments of God. Pray today to be strong in times of temptations against purity. Read the Congregation for the Doctrine of the Faith's document, Pastoral Care of Homosexual Persons. St. Clotilde was Queen of the Franks, born in Lyons France, probably around the year 470. In 492 or 493, she married Clovis, king of the Franks, converting him to Christianity on Christmas Day. 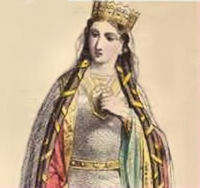 When Clovis died in 511, Clotilde had to deal with feuds and murders conducted by her sons: Clodomir, king of Orleans; Childebert I, king of Paris; and Clotaire, king of Soissons and the Franks. When Clotaire killed two of his nephews, who were the brothers of St. Clodoald (Cloud), Clotilde left Paris and resided thereafter in Tours. Read this longer biography of St. Clotilde by Fr. Butler.